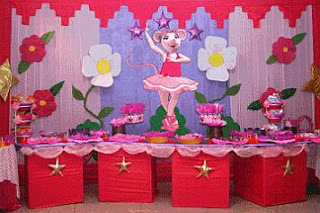 Birthday is coming for your little pretty and you are not sure the character to choose to decorate her party?, Sweet Angelina Ballerina, could be an excellent choice, the field mouse who practices ballet, has become one of the favorite characters for girls and the choices you have to decorate your party using it as a main character, are many. Here are some suggestions that sure will be very useful. You can use cloth pads to cover the wall or window curtains and recreate over, before it is put to Angelina Ballerina, alone or with friends, and the result is excellent. 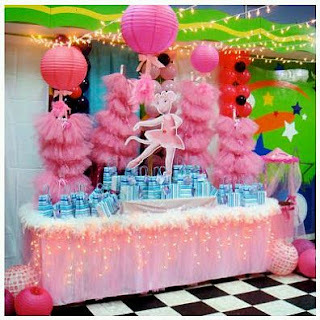 Another proposal through the use of fabrics, this structure is often used in outdoor celebrations for which environments are armed, are placed above the chosen characters that matched the tablecloth and proper table provides excellent decoration. Beautiful balloons based proposal that recreates a scene with fabric backdrop and as a framework, columns and balloon flowers, the colors used are those that characterize Angelina. If you want something even more amazing, you can recreate a majestic theater that presents Angelina, and decorate with balloons and flowers. 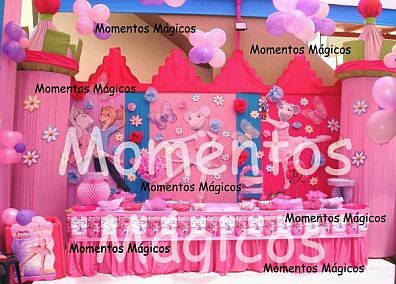 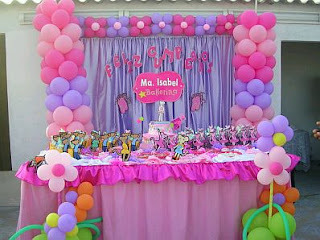 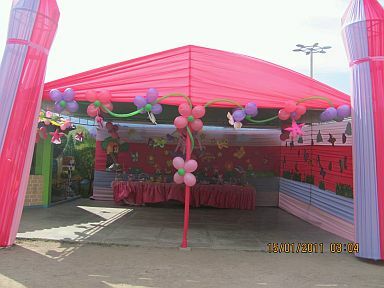 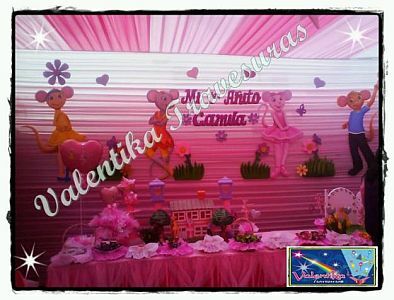 Peautiful proposal for outdoor parties, these canopies decorated with characters from the show and balloon flowers. Simpler than the previous one but just as beautiful, just a poster of Angelina and a balloon frame, standing before the head table with the characters. If your idea is original and elegant decor, nothing better than using screens or holding Chinese lanterns ballet skirts, of course with Angelina Ballerina in front. 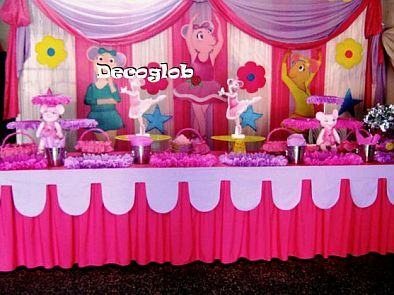 Original proposal based on roles and geometric shapes, flowers and tablecloths are also made of paper. 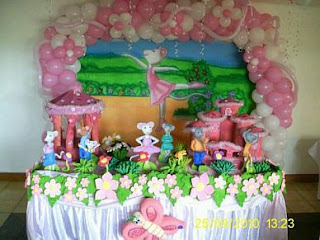 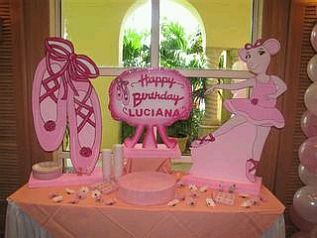 Simple and original decor with ballet shoes and figure of Angelina Ballerina, balloons can also be used to complete the set. 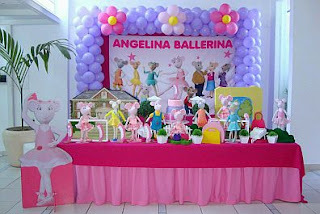 Colorful proposal with a poster of Angelina Ballerina at the back and a balloon frame, before the head table with the characters of the series.